On the rooftop of an apartment or office building, or the Fifth Floor Terrace of the Helmsley Building in Manhattan, in your driveway, in your back or front yard, at your community center or your house of worship, on any gym floor or any space that has a ten foot ceiling, and is twelve feet wide and fifteen feet long, you can have a great golf experience. Golf simulators are following the great lead of the two million dollar Airplane Simulators used to train the best jet pilots. 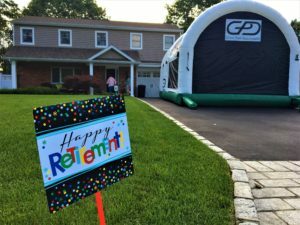 Golf simulators can be mobile and Golf Pro Delivered is a leader, a design leader, a golf instruction leader, and an ambassadorial leader for the game of golf bringing it to you for parties, corporate or charity events, for pure golf instruction, or summer camps for youth. The ways you can use a golf simulator are virtually endless. 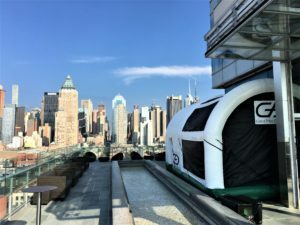 You can house one for months in the winter at your club or public golf course, community center, hotel lobby, or you can use one for a special event like a retirement party, employee or tenant appreciate party, or a business development event or trade show exhibit. 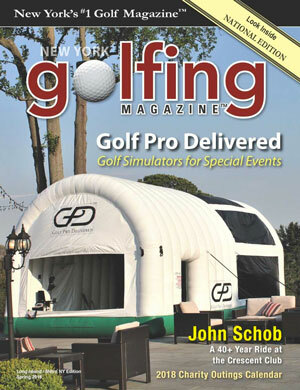 In addition, golf instructors can bring a mobile golf simulator unit to where their golf students can come for lessons. The mobile golf simulator brings golf, good golf, to you, your friends and colleagues, your school, and even your corporation or nonprofit organization. For more information, contact us at [email protected] or (516) 472-7293.